The college is approved and recognized by the Medical Council of India and the General Medical Council of Great Britain. It has a unique place in university as it is termed to be best education center and has a recognized place in the world health organization directory. Every person can easily appear for USMLE & PLAB exam as they have a great advantage of studying in this institute. The institute is advancing day after day by enhancing the students with extreme and technological medical knowledge. The institute has well-educated faculty who walks an extra mile for the improvisation of the students. The college has its hospital where the students are imparted with practical knowledge and, training so as to improve their skills and knowledge. The eligible candidate should fill the application form online on the official website and then send it to the BVMC. The candidates should fill out the application form for NEET both for the admission. The admission for UG and PG is through the NEET. The candidates applying for undergraduate courses must be HSc passed with a minimum of 50% aggregate. Admission for the Ug and Pg courses is through NEET and purely on merit basis. Doctor of Medicine – Physiology M.D. Doctor of Medicine – Anatomy M.D. Master of Surgery – Ear, Nose, throat M.S. Doctor of Medicine – Psychiatry M.D. Doctor of Medicine – Pharmacology M.D. Doctor of Medicine – Microbiology M.D. The direct admission in this college is through regulations of the university. Every year there is a certain percentage of the seats that are reserved for management students for admission. The university grants 18-30% of the seats to the well-deserved management students The seats are booked and reserved directly in the admission office. A percentile of payment is paid in the name of the College trust then the fee structure is divided among the course duration. 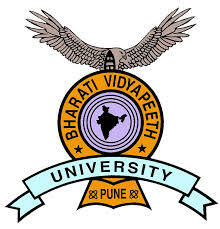 Are you looking for Admission Guidance or Direct Admission through Management Quota in Bharati Vidyapeeth Medical College Pune, then call us on 07406010001, 09741004996.